Nicola Sturgeon has pledged to look into reports that a lack of care staff on a Scottish island has left a frail 90-year-old woman unable to get the help she needs. Conservative West of Scotland MSP Jamie Greene told the First Minister he had been contacted by the woman’s family after being told it was “not possible” for her to receive home visits due to a shortage of staff on Arran in North Ayrshire. Mr Greene said the woman has poor eyesight due to macular degeneration, memory loss and mobility issues. 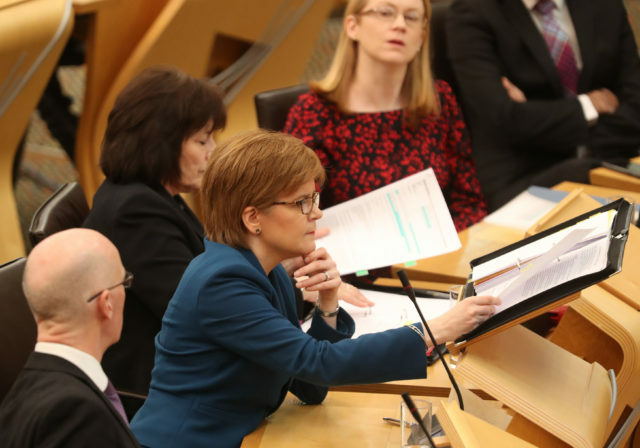 During First Minister’s Questions on Thursday, he challenged Ms Sturgeon on the Government’s “flagship policy” of providing free personal care for the elderly. Ms Sturgeon said she does not know the details of the case but told Mr Greene it “certainly raises concerns in my mind”.